I spent most of the day listing new items in my Etsy shop. It takes up more time than I think it will. I also struggled with figuring out how to get the pictures onto the computer so I had to call my dad. But it all worked out in the end. I made this scarf when I had first started knitting. 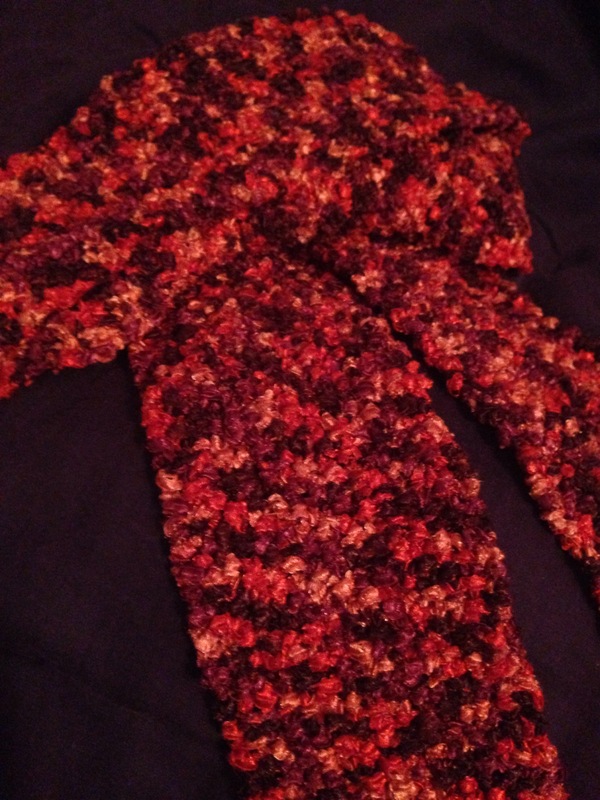 I loved the yarn because of the fall colors. It was when I had first started so it’s thin. I cast on 20 sts. and knit in garter stitch. How did your Friday go?